Eddie "Gonzo" Gilman (Ezra Miller) is starting a revolution. 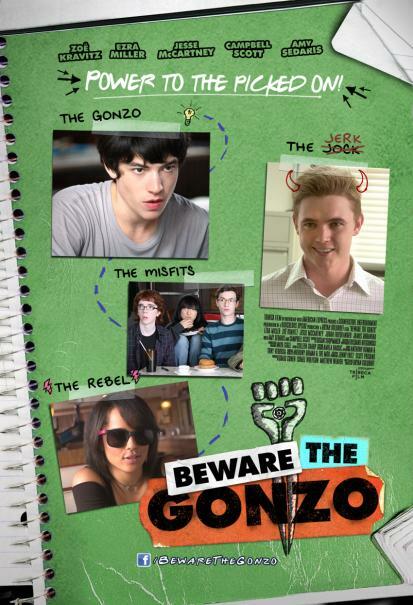 When the wild-eyed rebel journalist is ousted from his prep school's newspaper by its über-popular editor Gavin Riley (Jesse McCartney), Gonzo starts an underground paper, "The Gonzo Files," to give a voice to all the misfits victimized by Gavin and his cronies. 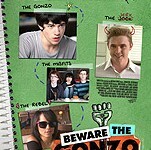 With help from the mysterious Evie (Zoe Kravitz), "The Gonzo Files" becomes a runaway hit and turns the school upside down, but Gonzo soon learns that the truth comes with consequences in this fresh teen-angst comedy.